For most of the country, hiking isn’t exactly an option (at least not a comfortable one) this time of year. But when you’re in the Coachella Valley, which boasts 350 days of sunshine annually, average winter high temperatures of 70 degrees, and happens to be bounded by multiple mountain ranges, hiking is pretty much a must-do. It’s also the perfect way to check out rock formations, desert vegetation, and killer views while getting in a workout and making your friends stuck in the snow jealous. Here are five favorite hikes not far from Two Bunch Palms to consider. 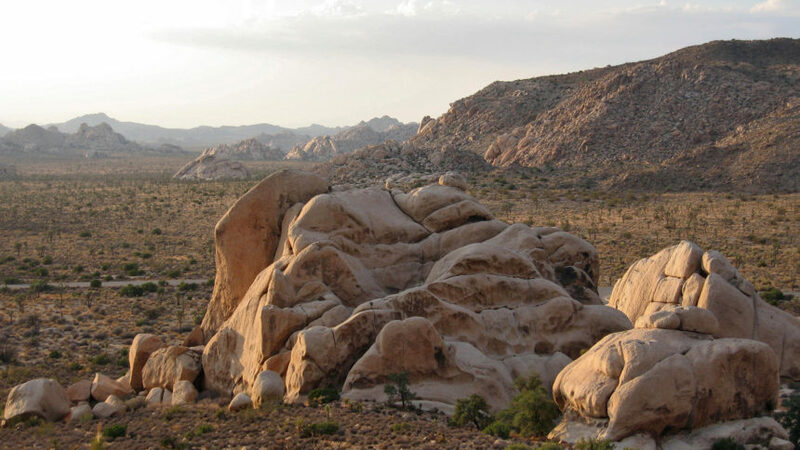 Since Two Bunch Palms is only about a 45-minute drive from the west entrance of Joshua Tree National Park, it’s easily worth a day trip. The hiking options are dizzying in this 1,200-square-mile park, but if you want a challenging one that’s not too far from the entrance and gains a ton of elevation in a short time, this is your trail. You’ll climb 1,000 feet as the popular 3-mile out-and-back trail takes you to the summit of Ryan Mountain for magnificent mountain views. Trailhead located 16 miles from the West entrance of Joshua Tree National Park. Park between Sheep Pass and Ryan Campground. $25 vehicle admission good for 7 days. If you had planned on checking out some midcentury architecture while you were in town anyway, this Palm Springs hike combines the best of both worlds, giving visitors a bird’s-eye view of the iconic space-age-esque Bob Hope estate, designed by fabled architect John Lautner (and sold to supermarket magnate Ron Burkle in 2016 for a cool $13 million). The full hike is via a 6-mile out-and-back trail, but if you just go just as far as the groovy house, get a glimpse, and turn around, you’ll clock about 2.5 miles. Trailhead located at Southridge Drive and East Palm Canyon Drive, Palm Springs. Free. 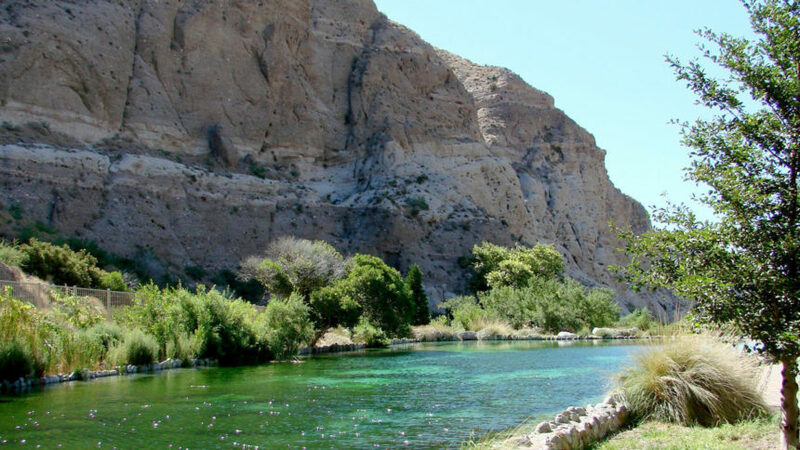 The wilderness-surrounded Whitewater Preserve may be best known for its Whitewater River, but it’s also home to an array of wildlife ranging from bighorn sheep to deer to an endangered bird called the Southwest willow flycatcher. Get a good introduction to the 2,851-acre preserve via this 3.5-mile loop that crosses the riverbed and lives up to its name with stellar views of the canyon and nearby mountains. Trailhead located near Whitewater Preserve Visitor Center, 9160 Whitewater Canyon Road, Whitewater. Free. This super-easy 1.2-mile loop trail takes hikers down a series of steps before crossing a creek and leading you to a wild oasis of California fan palms – the largest in North America. If you’re ready for more, you can move on to other hikes within Indian Canyons, which covers 60 miles of trails scattered throughout three different canyons. Try Murray Canyon, a moderate 4.7-mile loop that will reward you with an impressive waterfall along the way. Trailheads located within Indian Canyons, Palm Springs. $9 adult admission fee. 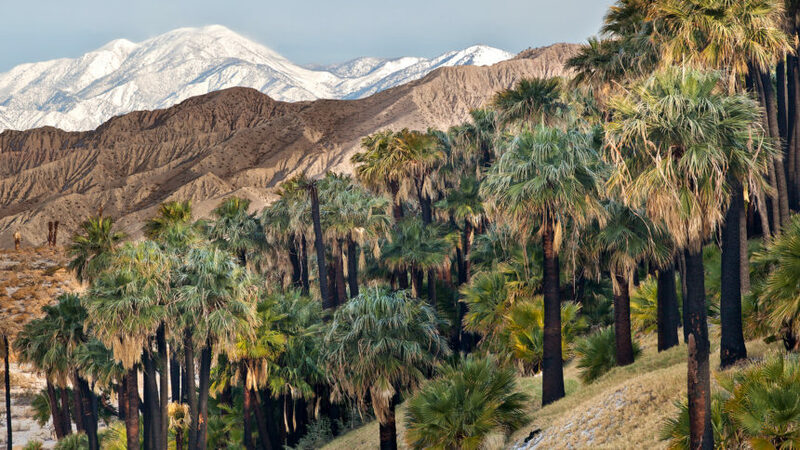 If you want the oasis without the drive, head for the Coachella Valley Preserve that’s just 20 minutes from Two Bunch Palms. The flat two-mile McCallum Trail not only leads hikers to the lush Thousand Palms Oasis, but passes by a pond, plenty of noteworthy flora and fauna, and across the San Andreas fault line. The preserve also happens to be home to the area’s very own Coachella Valley fringe-toed lizard. Trailhead located near the Thousand Palms Oasis Visitors Center, 29200 Thousand Palms Canyon Road, Thousand Palms. Free. *Featured image credit to Robb Hannawacker.